No code needed. 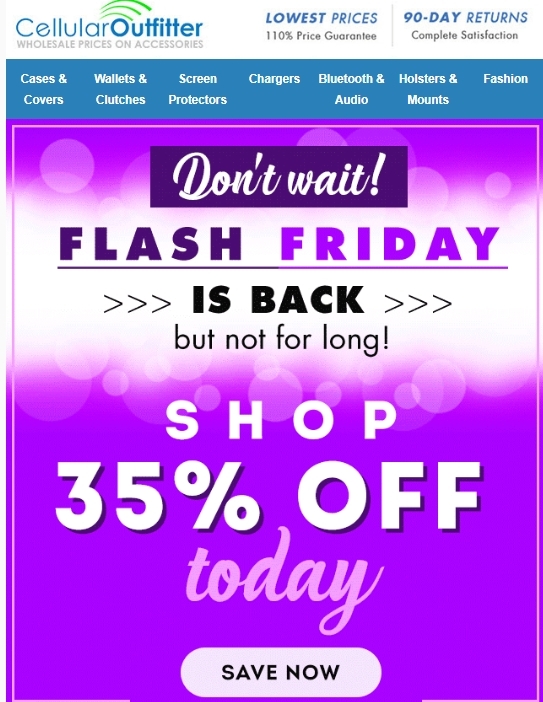 Click the button to redeem your discount at cellularoutfitter.com. Paulina Excludes Bluetooth items, phones, and select OEM products. Does not include shipping charges and can not be combined with other offers.Maximum discount is $30. Offer expires 24 hours after initial send.